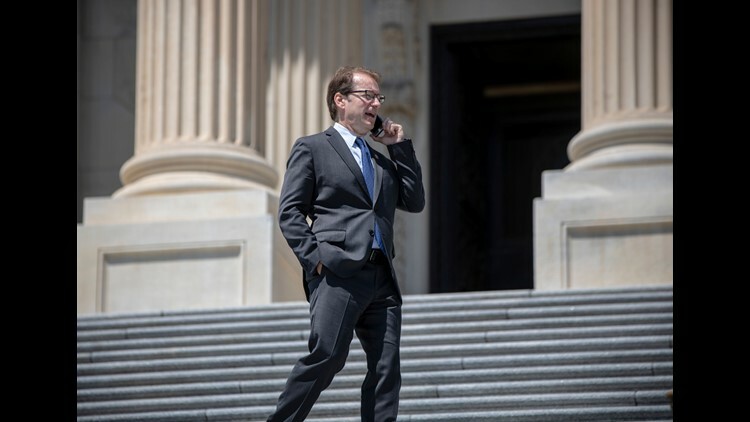 Rep. Peter Roskam, R-Ill., chairs the health subcommittee of the House Committee on Ways and Means. Leaders of a powerful congressional committee asked the operators of hundreds of U.S. maternity hospitals to answer sweeping questions about mothers dying and being injured from childbirth – and what actions they are taking to reduce those numbers. In letters sent Wednesday to major hospital systems across the country, the leadership of the House Committee on Ways and Means expressed concern about the rising rate of mothers dying in the USA and called for hospitals to answer a series of questions and provide its investigators with copies of their childbirth safety protocols and data on mothers’ deaths and injuries. The action follows a USA TODAY investigation in July that found every year, thousands of women suffer life-altering injuries or die from childbirth because hospitals and medical workers skip safety practices known to save lives. When USA TODAY repeatedly contacted 75 hospitals in 13 states to learn whether they are following certain nationally recognized safety practices – half wouldn’t answer the questions. USA TODAY's work was cited by the committee in announcing its own investigation. “It’s clear that there are warning lights that are flashing, and we need to understand what’s causing this,” said Rep. Peter Roskam, R-Ill., chairman of the committee’s health subcommittee. The committee’s letter asks hospitals to describe what they are doing to identify women at risk of childbirth complications, how they track and review pregnancy-related deaths and severe harms and to what extent they participate in programs that seek to standardize and improve childbirth safety practices. It asks for systems to disclose to the committee information about each of their birthing hospitals, including the number of babies delivered in 2017 and the number, racial demographics and causes of pregnancy-related deaths and severe maternal harms for that year. “When an inquiry like this goes out, we have an expectation the responses will be thorough and prompt and forthcoming,” Roskam told USA TODAY. The committee sent the letters to 15 of the country’s largest hospital systems that operate more than 900 hospitals and together delivered more than one in five babies in 2015. The letter sets a deadline of Nov. 15 for responses. USA TODAY’s ongoing “Deadly Deliveries” investigation has focused on the role of hospital care in preventable deaths and injuries of mothers. Each year, about 50,000 U.S. women are severely harmed and about 700 die because of complications related to childbirth. African-American moms are three to four times more likely than white moms to die or suffer devastating childbirth injuries, studies found. About half the deaths could be prevented and half the injuries reduced or eliminated with better medical care that reduced delays in diagnosis and treatment of childbirth emergencies. At hospitals across the country, USA TODAY exposed doctors and nurses failing to follow nationally promoted best practices that make childbirth safer. USA TODAY found little information is publicly available to women about childbirth complication rates at maternity hospitals in their communities – and many hospitals declined to answer questions about the safety practices. "Seeing that the Ways and Means Committee is taking this issue seriously is giving me hope," said Rachel Yencha, who nearly bled to death after giving birth in 2015 in suburban Cleveland. She shared her story as part of USA TODAY's investigation in July. "There's hope that people are paying attention now." The 15 systems receiving the committee’s letters were selected because they were the nation’s largest based on patient revenue in 2015. They are: Adventist Health System, based in Altamonte Springs, Florida; Advocate Aurora Health, Downers Grove, Illinois; Ascension Healthcare, St. Louis; Catholic Health Initiatives, Englewood, Colorado; Cleveland Clinic Health System, Cleveland; Community Health Systems, Franklin, Tennessee; Dignity Health, San Francisco; HCA Healthcare, Nashville, Tennessee; Northwell Health, New Hyde Park, New York; Providence St. Joseph Health, Renton, Washington; Sutter Health, Sacramento, California; Tenet Healthcare Corporation, Dallas; Trinity Health, Livonia, Michigan; Universal Health Services, King of Prussia, Pennsylvania; and University of Pittsburgh Medical Center, Pittsburgh. We want to hear from you if you faced life or death complications — or felt you didn’t receive adequate care — during your pregnancy and childbirth.